Welcome to Goldenvale Veterinary Hospital. We believe in providing high quality care in a modern, clean enviroment. We take pride, not only in our wide range of services, but also in our desire to respond to the needs of pets and people. We are a full service hospital offering professional medical treatment and consultation, routine check-ups, surgical prcedures, radiology, dentistry, laser therapy, stem cell therapy, and laboratory analyses. We also offer boarding and grooming services as well as a selection of quality pet foods and supplies. We will constantly strive through continuing education and advancement in instrumentation to give each patient the same consideration we would expect for members of our own family. 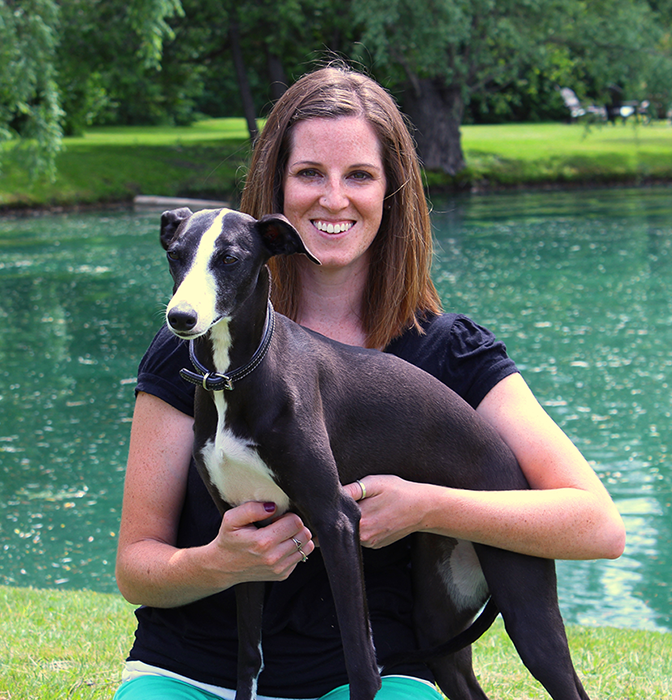 Dr. Steph Horgan Smith graduated from the Ontario Veterinary College in 2011. After graduation she spent a year and a half working in a small clinic in Durham, Ontario treating equine and small animal patients. She joined the Goldenvale team at the beginning of 2013. Steph grew up in Newmarket, and is excited to return and be able to provide veterinary care for patients in her home town. She currently resides in Stouffville with her husband (Patrick), 2 dogs (Winnie and Tucker), and 2 cats (Lily and Piper). She spends her free time playing hockey, soccer, and riding her horse (Guinevere). 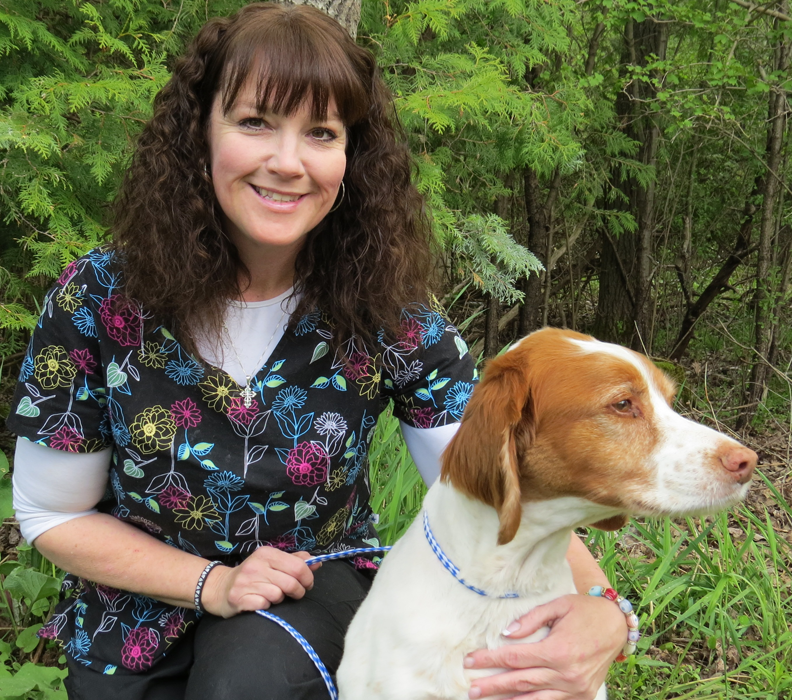 Dr Teasdale graduated from the Ontario Veterinary College in 1976 with her D.V.M. degree. 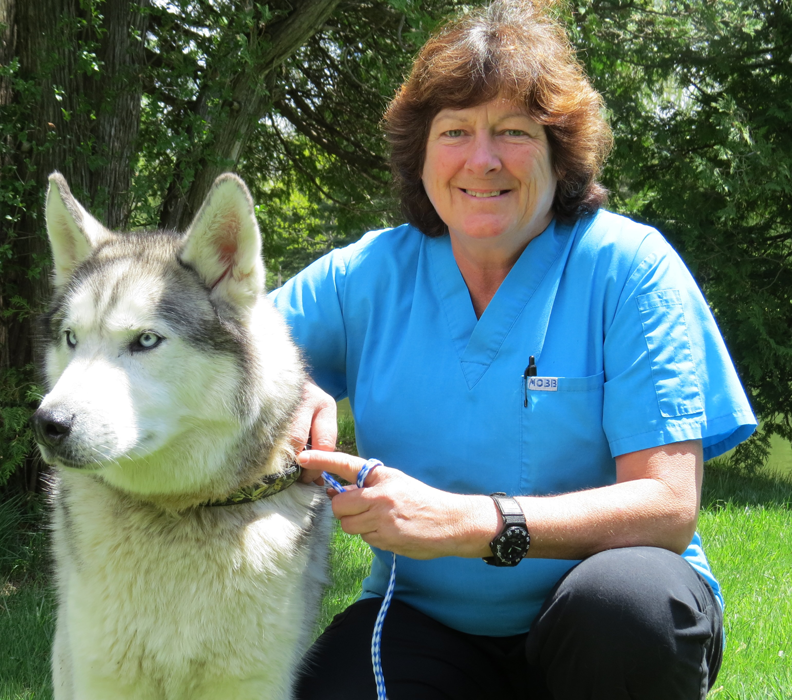 Having been raised in Newmarket with her family's roots going back many generations, Dr. Teasdale established the Goldenvale Veterinary Hospital in 1980 on Davis Drive, just east of Newmarket. She and her husband, Helm, enjoy sailing and spending time on their country property with their 2 dogs, Kala & Gizmo, and cat Kramer. Jill Collins graduated from the Seneca Technician course in 1991 and has been here at Goldenvale ever since. Jill has 2 kids, 1 grandchild, 4 cats, and 1 diabetic dog. Jill is the main person on the front desk and on the phone and knows everything that is going on in the hospital, kennel, and grooming parlour/spa. When Jill isn't at Goldenvale she is out riding either her motorcycle or her horse. Denise joined the Goldenvale staff at the beginning of 2013. 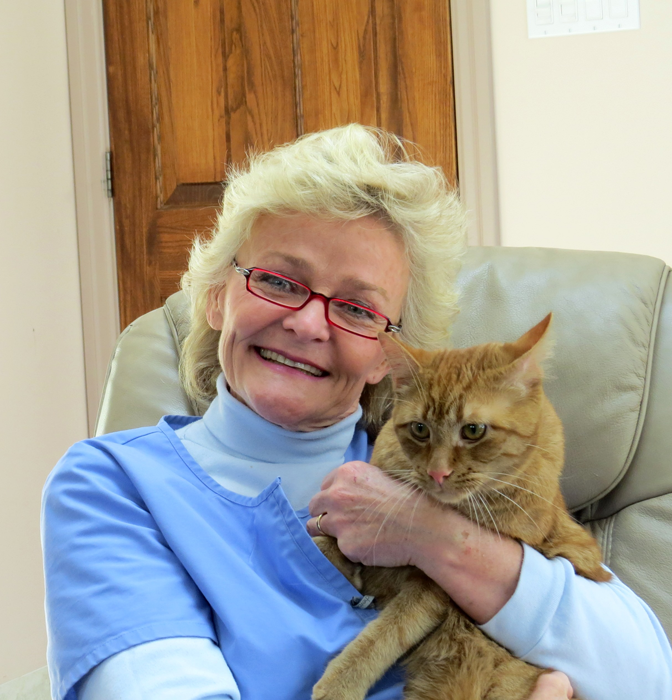 Denise has had pets her entire life making the clinic feel just like home. She loves coming to work and spending the day interacting with a variety of animals and their owners. She shares her home with 2 dogs - Shayla (a shepherd cross) and Nikitta (a husky), 2 cats - Jasper and Joey, and her 3 daughters - Amanda, Jessica, and Rebecca. When she has some free time, Denise enjoys camping, horseback riding, and spending time with her animals.